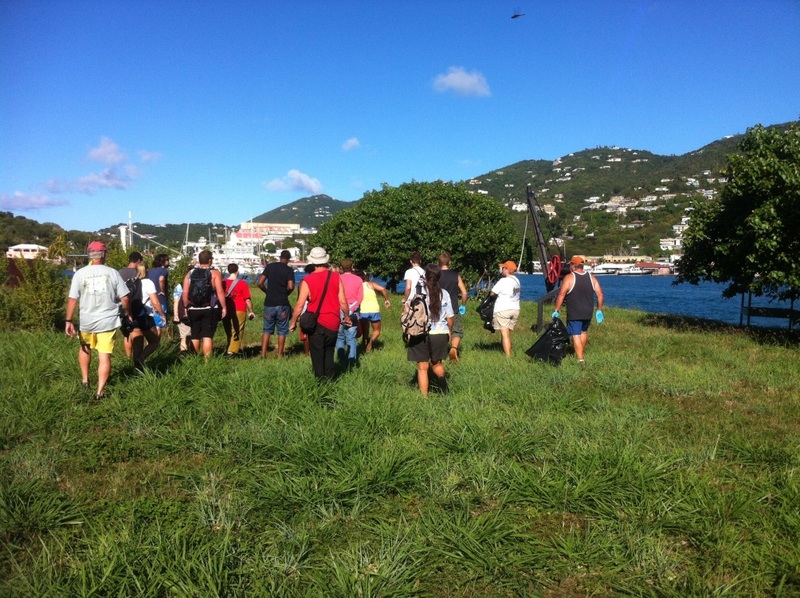 ST. THOMAS – Thanks to a mutually beneficial partnership between the University of the Virgin Islands and the St. Thomas Historical Trust, students and teachers from the University’s Science 100 classes were ferried over to Hassel Island on January 31, where they participated in a beach cleanup and beautification event. 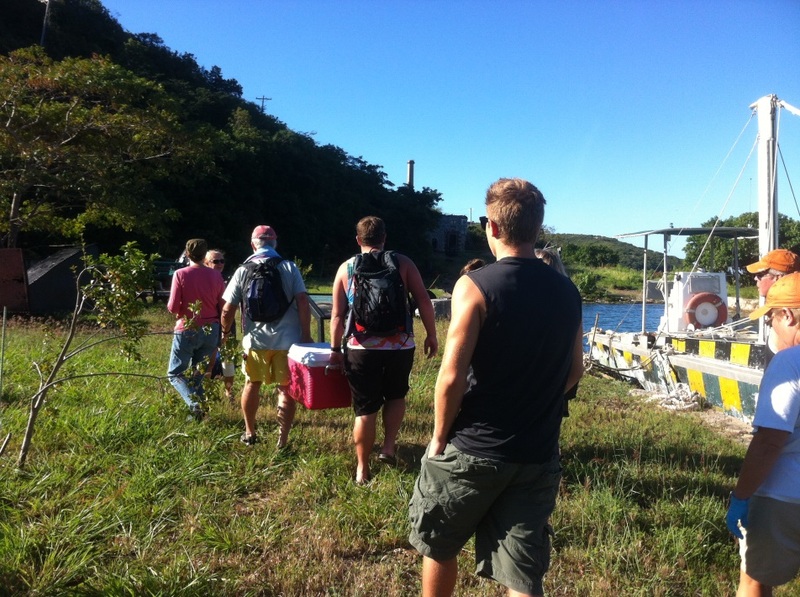 Students and Science 100 Professors participate in a beach cleanup on Hassel Island on January 31. After meeting at the staging area outside of the Hook Line & Sinker restaurant in Frenchtown, the volunteers were divided into three groups and sent over to Hassel Island, with each group being assigned to a different beachhead. Once on island, each group received a brief but educational tour of the surrounding landmarks and historical sites before spreading out and beginning the cleanup itself. The resulting experience, which covered a great deal of the island’s shores and nature trails, was a success in helping to preserve both the natural beauty of the local environment and the fragile existence of important historical areas. It also served as an example to an important topic of discussion: just what impact does the environment have on the University? For the student body, the environment was also a concern as respective Business and Communication students Rachel van Beverhaudt and Asyshah Smith shared. The University seems to approach the topic with dedication since it not only sponsors events such as beach and campus cleanups, but it also raises awareness of the local environment through small natural exhibits that showcase the local ecosystem and flora. But can UVI do more? Professor McCammon believes so. “Events like the beach cleanup on Hassel Island are a solid start, but more can be done,” she said. McCammon stressed that the inclusion of more of the various majors would create a broader range of appeal, which is key for future involvement. With the environment being such a major part of Virgin Islands identity and income, UVI should be well aware of the consequences of its help, or lack thereof.